My wife and I are very fond of simple recipes. 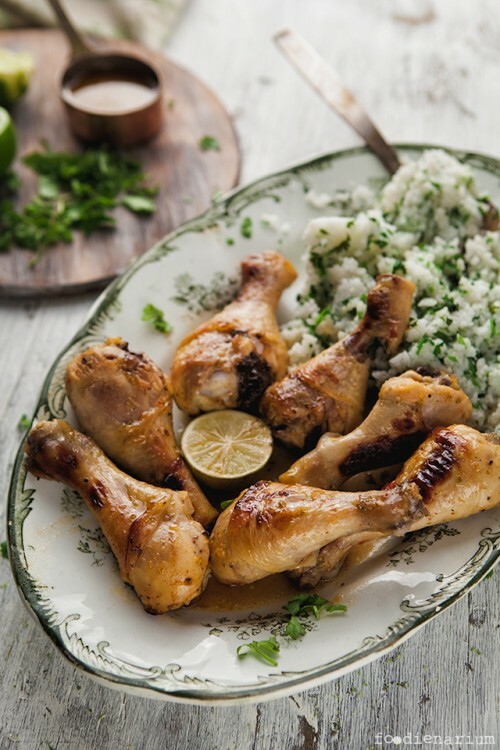 They certainly can become boring fast, but even simple things like baked chicken thighs and rice can be cooked in many different ways. For example, they can be cooked in Thai style with flavors appropriate for this cuisine. Lime, coriander, coconut and chilli are a great combination that can turn quite an ordinary dish into an unforgettable. Here we go! Immediately heat up the oven to 200C (400F). Wash chicken legs, dry and spread into a pan or a baking dish. Sprinkle them with olive oil. Peel garlic and ginger root. Grate them directly on the chicken. Also sprinkle the chicken with lime juice and chili sauce. Sprinkle them with zest and mix everything right in the pan. Lime, from which we removed the rind, cut in half and also put into the pan. Put the chicken into the oven and bake for 30-40 minutes depending on the desired crust. While the chicken is baked, prepare the garnish. Cook the rice according to the instructions on the package. Wash and finely cut coriander. Sprinkle the cooked rice with coriander and coconut. 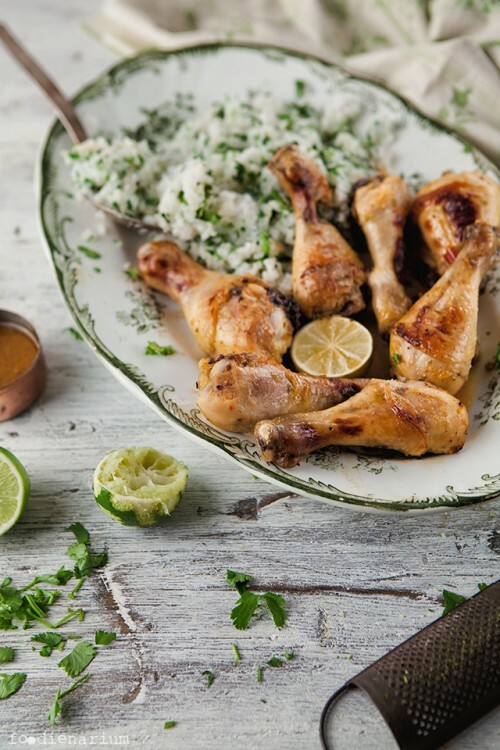 Serve the rice with baked chicken, sprinkled with sauce right from the pan.